You can open a portal to energy, magick, spirits, entities or locations throughout the 3 Realms and all dimensions in between. You can easily operate this binding at any time. To close any portal that you did not open and is active in your home or personal space recite: "Aswe corva notun" (Ahz-wee kor-vah noh-ton). You will need to repeat this three times and once recited all open portals immediately close and are no longer present within your home. That which shall be protected & solid in stay"
This will open the portal you dictate. 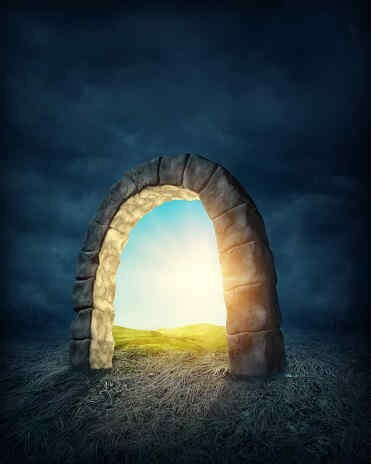 The portal will open immediately and fully materialize within the first 4 hours. You can work with the portal at any time and through the portal you can call out to anything specific you wish. You shall remain closed until I command you again"
Spells Customized Specifically For You By Magnolia & Ash Mood Ring With A Spell For Good Luck Awaken Yourself! Spirits, Magick, Energy, Third Eye, Psychic, Wake Yourself Up!